The Very Merry Christmas Movie Bracket is BACK! Around this time last year I was thinking about how wonderful Christmas movies are. There are about a million of them, and generally they boil down to the idea that Christmas is more than a day – it’s a feeling. It’s about being with the people you love. Then after all that sweet reflection I took that Christmas love and turned it into a competitive sport. Bring on the Very Merry Christmas Movie Bracket! But you know what? Even all the competitive scheming, trash talking, and “I cannot BELIEVE Home Alone lost” shouting in 2017 resulted in a lot of love and happiness. The inaugural Very Merry Christmas Movie Bracket game made Facebook in December a lot of fun. Virtual friendships were formed over movie alliances. The world got introduced to how wonderfully insane my dear friend and aspiring professional movie critic, Bill, is. And at the end of the day, the winner of last year’s bracket reminded me of my late grandfather, Buddy, who always brought with him the spirit and joy of Christmas. Read about last year’s bracket and winner here. Sure, a Christmas movie bracket has absolutely nothing to do with managing the chaos of family life or managing your personal career development. On the surface it’s very off blogging niche, which Google might ding me for. But this bracket makes me really happy. Based on last year I know it made a lot of other people happy too. 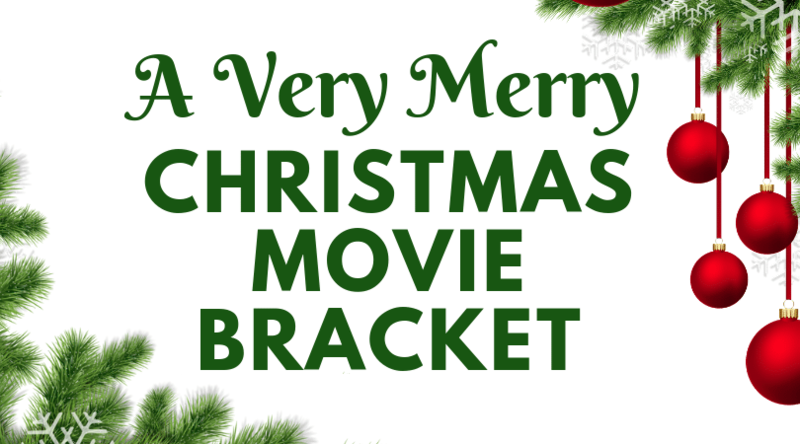 So I’ll argue that the Very Merry Christmas Movie bracket absolutely fits here on this blog. We’re bringing the joy, people. And we’re bringing it hard. 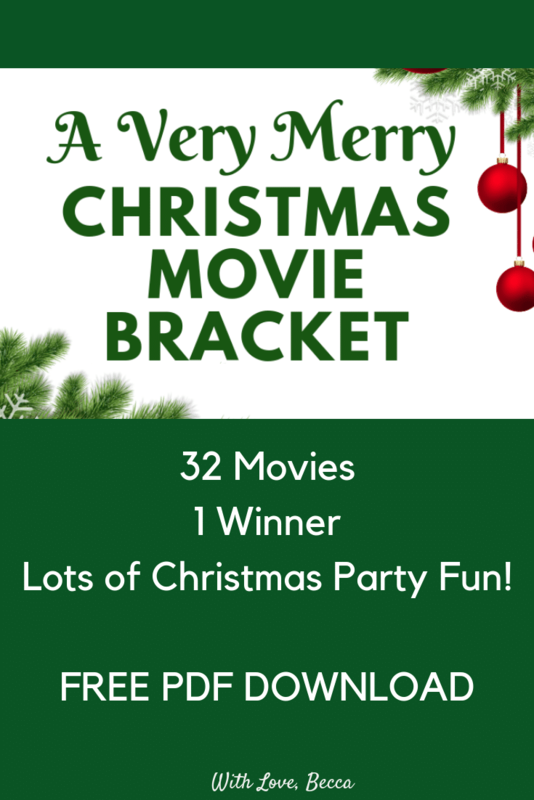 If you are new to the blog this year, here’s how the Very Merry Christmas Movie Bracket works. There is a field of 32 Christmas movies. This year I’ve put them into four categories Animated, The Classics, The 1980s & 1990s, and The 2000s. Movies will face off head to head using Facebook polls to determine who moves onto the next round. The first rule of Very Merry Christmas Movie Bracketing is that you absolutely HAVE to talk about Very Merry Christmas Movie Bracketing. You could just place your vote on Facebook for each round, but it’s way more fun if you get super invested, start soliciting for more votes for your favorites, and/or leave gif comments because regular words can’t adequately convey your displeasure about an outcome. The second rule of Very Merry Christmas Movie Bracketing is that this is all in good fun and while trash talking is encouraged (see above) please remember the spirit of the season. The last rule is that I reserve the right to make sure Home Alone wins this time. This is a lot of work and honestly I should get something in return. #TheSeasonOfGiving. Die Hard did not make the bracket this year. I’m sorry, cousin Kris. There are two How the Grinch Stole Christmas movies on here – one the original animated, one the 2000 Jim Carrey version. I have no opinion on the new one so it is not included. I included A Christmas Prince in hopes that Netflix might decide to advertise on my blog someday. There are no Hallmark Christmas Movies on here because I’ve never seen one. Come at me, bro. There are three Christmas Carols on here but they are all different and will be distinguished by appropriate gifs or photos on the Facebook polls. There isn’t a physical prize for guessing a perfect bracket, but DANG I’d be super impressed. Let’s Get Ready to Bracket! I’ll be cheering for Love Actually once again! It might have a better shot this year! I don’t think the 2000s is the strongest region of the bracket. “Plains, Trains & Automobiles” is the Loyola-Chicago of Christmas movie brackets.